Dear friend. Yes, you. The one who is struggling with guilt. The one who is burdened by shame. The one who is feeling unworthy. Oh friend. Don't you know that you are His princess? Don't you know that He treasures you? Before you were ever conceived in your mother's womb, He knew you and loved you. He lovingly knit you together exactly the way He wanted you. He choose you. He called you. He planned for you. You are His. His precious daughter who He loves deeply, so much so that He let His Son die just for you. You are worth His love. You are worth being treasured and cared for. You are worth it. That guilt you are feeling, the shame that haunts you, the fear that cripples you, that's not from God. God is not the author of guilt and shame and fear. Those feelings are straight from the enemy. The one who comes to kill, steal and destroy you. But guess what? This enemy has no authority over you. None whatsoever. You are worth more than the guilt, shame and fear. It's time to stand up to the enemy and tell him that you are worth more. More than his lies. You are worthy of God's grace and mercy. You are worth His time and His healing power. You a child of God and worthy to be known as such. Friend, you are worth the forgiveness and love that God offers. 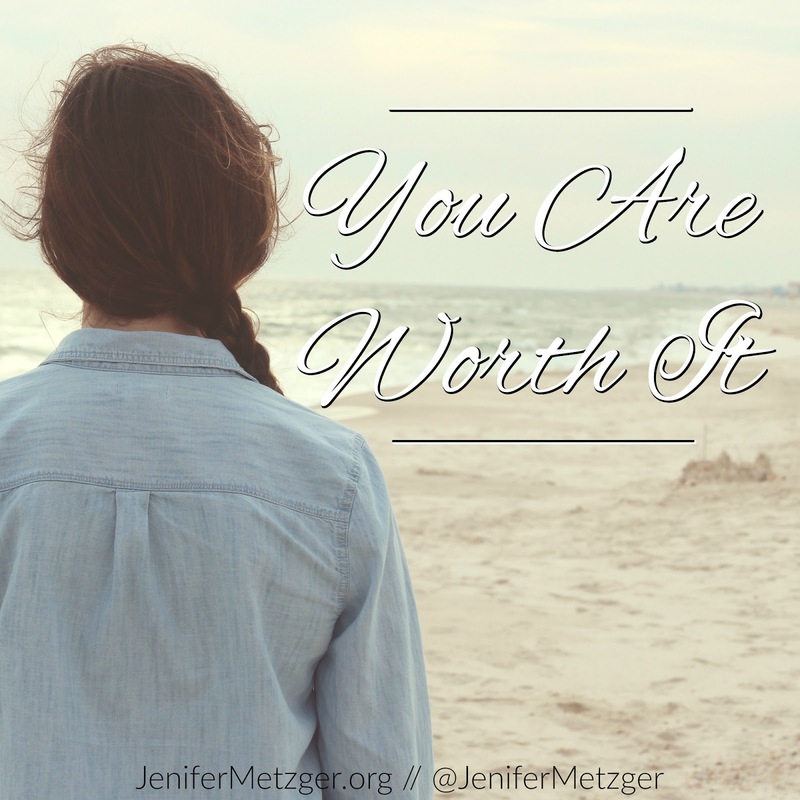 You are worth it because God created you and choose you. In Him, you have a great worth. Stand tall and know that you are the King's princess. You are a wonderful encourager!